Ghrelin has cardioprotective properties and, recently, has been shown to improve endothelial function and reduce endothelin-1 (ET-1)-mediated vasoconstriction in peripheral vascular disease. Recently, we reported that ghrelin attenuates pulmonary hypertension (PH) caused by chronic hypoxia (CH), which we hypothesized in this study may be via suppression of the ET-1 pathway. We also aimed to determine whether ghrelin’s ability to prevent alterations of the ET-1 pathway also prevented adverse changes in pulmonary blood flow distribution associated with PH. Sprague–Dawley rats were exposed to CH (10% O2 for 2 weeks) with daily subcutaneous injections of ghrelin (150 μg/kg) or saline. Utilizing synchrotron radiation microangiography, we assessed pulmonary vessel branching structure, which is indicative of blood flow distribution, and dynamic changes in vascular responsiveness to (1) ET-1 (1 nmol/kg), (2) the ET-1A receptor antagonist, BQ-123 (1 mg/kg), and (3) ACh (3.0 μg kg−1 min−1). CH impaired blood flow distribution throughout the lung. However, this vessel “rarefaction” was attenuated in ghrelin-treated CH-rats. Moreover, ghrelin (1) reduced the magnitude of endothelial dysfunction, (2) prevented an increase in ET-1-mediated vasoconstriction, and (3) reduced pulmonary vascular remodeling and right ventricular hypertrophy—all adverse consequences associated with CH. These results highlight the beneficial effects of ghrelin for maintaining optimal lung perfusion in the face of a hypoxic insult. 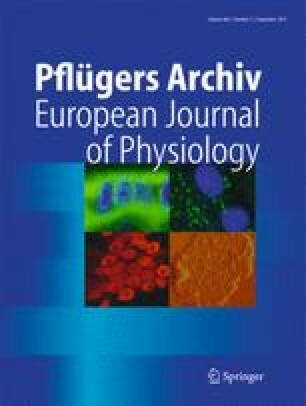 Further research is now required to establish whether ghrelin is also an effective therapy for restoring normal pulmonary hemodynamics in patients that already have established PH. This study was supported in part by a University of Otago Research Grant, an Otago Medical Research Foundation Grant (AG293), a Grant in aid for Scientific Research (20590242) from the Ministry of Education, Culture, Sports, Science, and Technology of Japan, Health and Labour Sciences Research Grants (research on intractable diseases, no. H22-Nanti-ippan-033), and the Monash Centre for Synchrotron Science. The synchrotron radiation experiments were performed at the BL28B2 at SPring-8 with the approval of the Japan Synchrotron Radiation Research Institute (proposal no. 2009B1328). All experiments were approved by the local Animal Ethics Committee of SPring-8 and conducted in accordance with the guidelines of the Physiological Society of Japan.